Zinedine Zidane has allegedly been offered a lucrative four-year contract to become the new coach of Qatar. 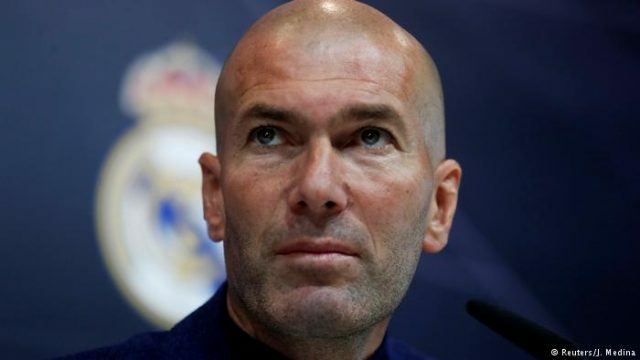 On Thursday, Zidane announced that he was stepping down from his role as manager of Real Madrid after guiding the Spanish giants to three successive Champions League crowns. The Frenchman has immediately been linked with a potential switch to Chelsea but it appears that the 45-year-old may be targeted by Qatar. On Twitter, Egyptian billionaire Naguib Sawiris has suggested that a contract worth £176m over four years is already on offer for Zidane as Qatar look towards hosting the 2022 World Cup. As it stands, Zidane is yet to publicly declare whether he is open to another job or intends to take a sabbatical before making his next move.